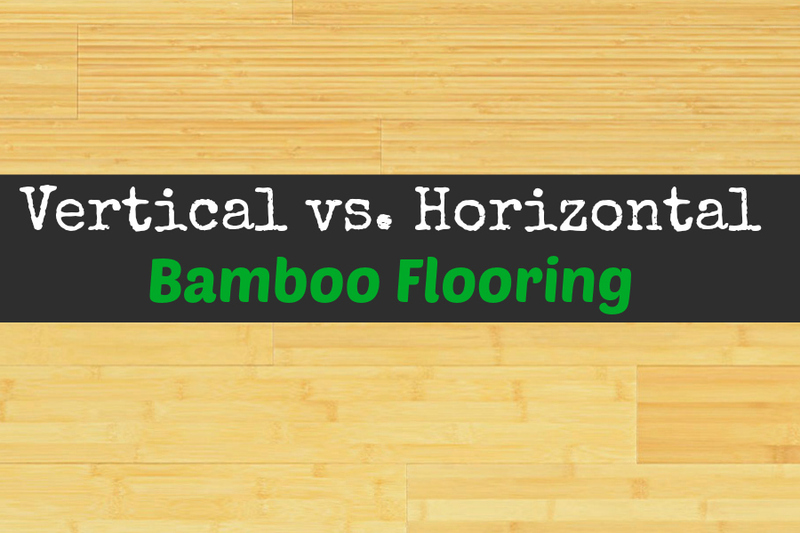 What’s the difference between vertical vs horizontal bamboo flooring? We all love the look of bamboo its beautiful in the Amazon and now it coming to your home! 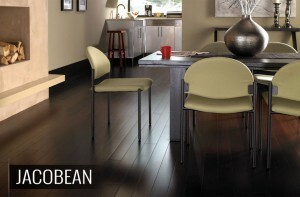 Bamboo flooring is a new addition to the flooring family and it comes in all sorts of of styles. The most popular options are horizontal – let’s go look at the these beauties and bring the jungle to you! To picture horizontal bamboo, think of the honorary Steve Irwin introducing your flooring in its natural habitat. Horizontal bamboo flooring has a grain texture at the top. It has 3 rows on each plank with “knuckles” where the bamboo stocks come together. I like to think of the appearance as a vintage brick building – it has a “brick and mortar” style. Don’t forget! 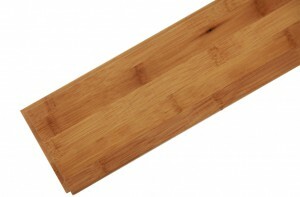 The key word for horizontal bamboo is “knuckles”, which are clearly visible on the planks. This style keeps the flooring truest to its natural form from its very own jungle habitat. Let’s get down to the real attraction. 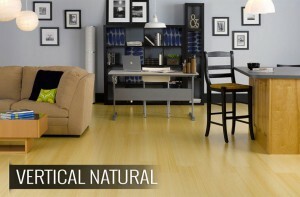 Since horizontal is on the natural side of bamboo flooring, the colors are predominantly neutral. If you’re going for an inviting, cozy, or eclectic hippie look, horizontal bamboo is the best pick. Bringing the homey, traditional feel of horizontal bamboo flooring will help you embrace the natural, jungle feel of your home – especially with some added plants for decor. For our Steven Irwin explorers who love a little more action and excitement, you can explore through the jungle of dark carbonized bamboo flooring. Horizontal bamboo flooring gives you that natural appearance – any organic-veggie-loving, hippie-friendly person knows that natural is key. The flooring is pressured together on top of one another, which shows the knuckles. The flow of the flooring is less consistent (read –> repetitive) overall, which makes it ideal for a vintage to traditional home. 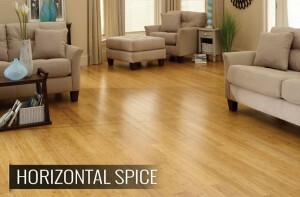 The cost of horizontal bamboo flooring ranges. You will see options starting from ~ $2.50/square foot to $5/square foot. Costs are continuously changing, however, there is consistently a great array of pricing options suitable for both your home and your wallet. Welcome to the “Modern Jungle” where our homes are as polished and clean cut – just how we like our flooring. Vertical bamboo flooring has a slim straight lines. This is due to the way the product is manufactured. Vertical bamboo also has a grain texture. You know how books are set side by side in a library? Vertical bamboo works the same way. 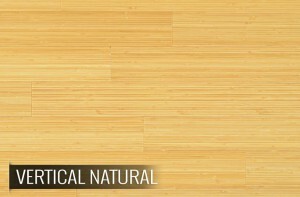 Vertical bamboo flooring is consider the “modern” style of bamboo flooring. Vertical bamboo flooring is available in similar color schemes as its counterpart, horizontal bamboo. Imagine a brand new condo complete with a stylish Copenhagen couch and a full glass square coffee table. Does that sound like your thing? If so, then vertical flooring is probably right for you. Combine that look with the vertical bamboo flooring, sharp espresso cabinets and maybe a little art, and your home will be the talk of the town. Anyone who’s anyone will love setting their eyes on the glamorous flooring you just installed. You can admit it – you’re a celebrity now! Vertical bamboo flooring is processed by putting each bamboo strip side by side in order to create the strand appearance. The flooring is pressured and finished together to create a consistent and modern look, making the flooring ideal for a classic to contemporary home. The cost of vertical bamboo flooring ranges. You will see options starting from ~ $2.50/square foot to $5/square foot. Costs are continuously changing, however, there is consistently a great array of pricing options making it possible to bring the modern jungle to your home without breaking your wallet! Now with a bit of knowledge under your belt, it’s time to head out and explore the amazing jungle of bamboo flooring. Feel free to sample our different texture and color options of bamboo flooring and see things for yourself. Both horizontal and vertical bamboo flooring offer the same quality, hardness, durability and environmental friendliness. Let’s get out there, explore, and bring the jungle to you!